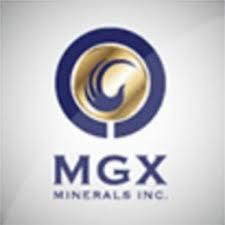 MGX Minerals Inc. (CSE: XMG) ( FKT: 1MG) (OTCQB: MGXMF) is pleased to announce a discovery at the Fran Gold Property in British Columbia, 30 kilometers southwest of the Mount Milligan Gold-Copper mine. Drill hole FR18-95 has returned a broad intercept from 227.0 to 241.0 meters of gold mineralization at depth in the Bullion Alley Gold Zone. This has confirmed extension of gold mineralization in auriferous veins from near surface to depth. The highest-grade gold mineralization was contained within a quartz-pyrite vein which averaged 21 g/t Au over 2.2m including 35.9 g/t Au across 0.76m and 26.70 g/t Au over 0.75m. The hole was drilled at an inclination of 55 degrees and depth of 314m. Drill data from the Fall 2018 drill program is currently being reviewed and correlated with the existing database of 87 previous drill holes. The sample chain of custody was managed by site geologist Myles Dickson (P.Geo). Drill core was stored and split at a secure storage facility in Fort St. James, BC. and shipped to ACT Labs Minerals for assay using 1A2-ICP Kamloops Au-Fire Assay and 1E3-Kamloops Aqua Regia ICP(AQUAGEO). Blanks and standards were used for data verification purposes. ACT is an independent, ISO-certified analytical laboratory located in Kamloops, British Columbia.